Debra McCurry "Over the top Customer Service" "The Realty Agency" Experience counts when buying or selling! 56 Properties Sold in 2018!! Nobody sells 56 homes in one year in Yuma AZ without a superior marketing program. Hear What Debra Has to Say "Click Link Below"
Yuma Radio Ad "CLICK HERE" Yuma Radio Ad "CLICK HERE"
I am the real estate professional in Yuma that you can rely on to work hard for you. Finding a real estate agent who knows the Yuma area, housing market, ordinances, Yuma county schools, etc. 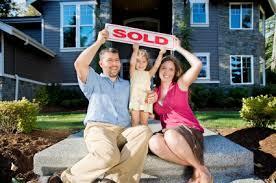 is vital to closing your real estate transaction. I have been helping my clients buy homes and sell their current homes in Yuma for years, and am ready to help you today. Selling or buying is a great challenge, with Short Sales and Bank Owned properties becoming less common and interest rates still at low levels. Ask my clients, what they have to say about my professional customer service. Take the time to explore my web site. It's loaded with information. The real estate industry is becoming more sophisticated and challenging every day. By putting me to work for you, you get a professional who understands the industry and is positioned to stay ahead of the game. I go the extra mile to help you achieve your goals. That's why I constantly research the market and property values so your home is priced effectively from day one. My innovative, hi-tech advertising and marketing techniques are dedicated to providing "Over The Top Customer Service" which attracts qualified potential buyers. Whether you're purchasing, selling, investing or doing research, you'll need a realtor who understands technology and how to apply it to a real estate transaction. Debra sold our home in 3 days with her exceptional marketing program and sales skills. She sold our home to a buyer that never actually physically toured our home but with the professional video that she provided for our property the buyer said he felt as if he was walking right through our house as he sat in front of his computer. We are so thrilled with her as our agent that we would recommend anyone who wants to buy or sell a property in Yuma to contact her and not deal with any other agent except Debra. Debra sold our home and was our Realtor for the purchase of our new home. She came highly recommended by another seller who raved about her service. Even with that recommendation, she exceeded our expectations. As a sales and marketing professional myself, I was more than impressed with Debra's knowledge of the market, the quality of her marketing collateral, the way she positioned our home, her negotiation skills, and the way she dealt with some very difficult buyers. Debra is extremely professional and she maintained the highest level of ethics and integrity throughout both of our transactions. She also has a great network of other professionals like mortgage brokers, inspectors, etc., who provided high quality services. Debra made what could have been an extremely stressful and difficult process very easy. I highly recommend her services. It was a pleasure and a refreshing change working with Debra, especially after having had several disastrous experiences dealing with incompetent and dishonest agents, A service-oriented professional and a good negotiator, Debra is an effective antidote to most of what ails the real estate business. Her research, marketing, and sales skills are excellent. Debra McCurry helped me purchase my home. She showed my wife and I countless properties and helped guide us through the process once we got into escrow. I couldn't ask for a better agent and will be referring her to all my friends and family. Thank you Debra!! Debra did phenomenal work in the sale of our home recently. Her professional manner and attention to detail we're exactly what we had been looking for and her follow through and communication created a successful transaction. She was prompt and reliable, we wish her the greatest success in her future. A true gem in her field. Thank you again Debra!! Why deal with the rest when you have found the best! !